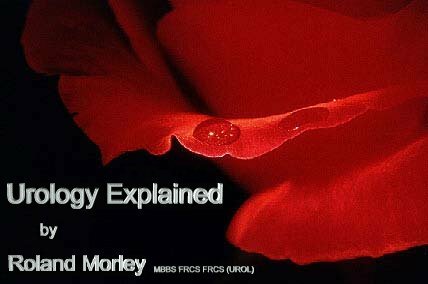 Urology Explained is a site hosted by Mr Roland Morley, a specialist in Female Urology and incontinence surgery. Mr. Morley is a consultant urological surgeon and also specialises in men's urology and urological problems. Urology Explained is designed to address questions and concerns relating to matters of a urological nature. And indeed to explain what exactly urology is and which organs of the body and functions it deals with. The site provides an extensive list of Patient information sheets covering a wide range of urological conditions an procedures. Roland Morley's NHS practice is based at Kingston Hospital and he can be consulted privately at Parkside Hospital, Ashetead Hospital and The New Victoria Hospital.